I don't like how the download dialog pops up. Is it possible to integrate with the main window? I didn't know about LICEcap. Thank you. Can I use Open Broadcaster to make GIF? Ah, now I know why my game suddenly ended. Could you please add a game play video? 3DNes VR - 3D NES In Virtual Reality (Oculus Rift - HTC Vive - WindowMR) community » General Discussion · Posted in No payment dialog box on itch desktop app. Yes, the discrepancy is a bit odd. 3DNes VR - 3D NES In Virtual Reality (Oculus Rift - HTC Vive - WindowMR) community » General Discussion · Created a new topic No payment dialog box on itch desktop app. 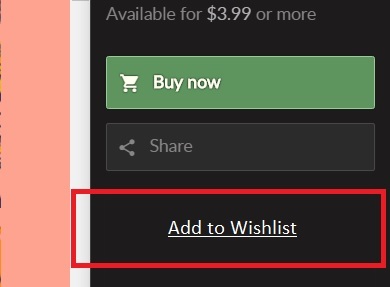 When I click the install button on the itch desktop app, it doesn't ask for payment. itch.io Community » General » General Discussion · Posted in Looking for testers for a alpha release game. Can you post some video? itch.io Community » General » General Discussion · Created a new topic Start game download on desktop client from the website. Is there any way to trigger game download on my desktop itch.io client via the website? I don't use the internal web browser on the client, but I am always on chrome or firefox. It would be great to initiate download remotely through the website. Now I copy the link and paste it to the internal itch browser to quick access to download.